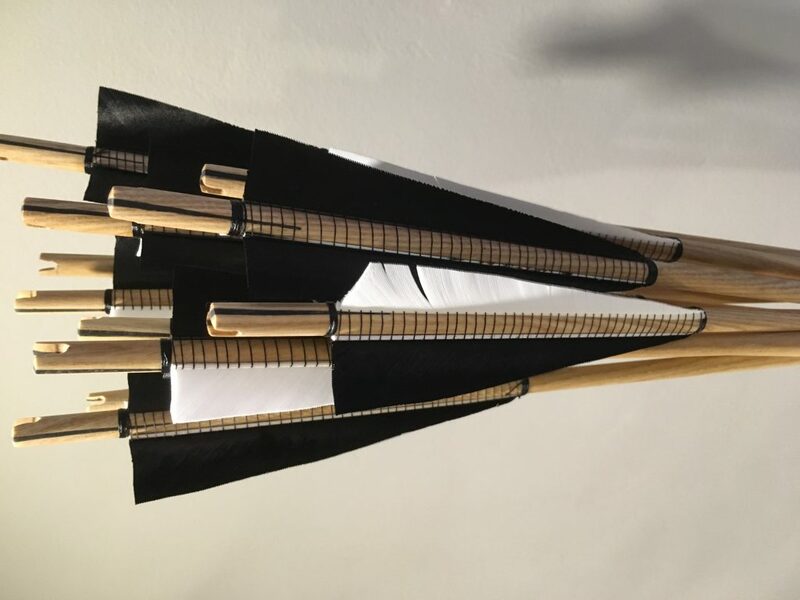 There’s a huge range of possibilities when it comes to nocks, but should be considered carefully as the arrow leaving the string is one of the most important parts of the shot. 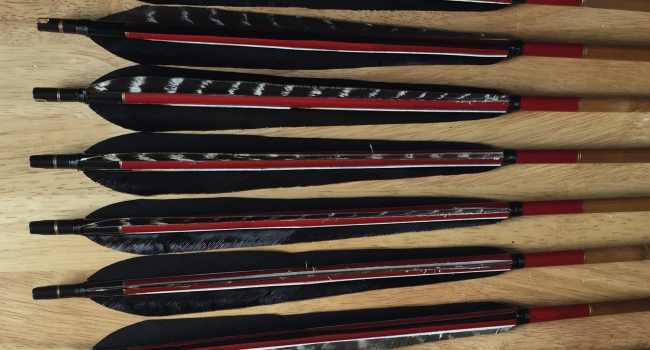 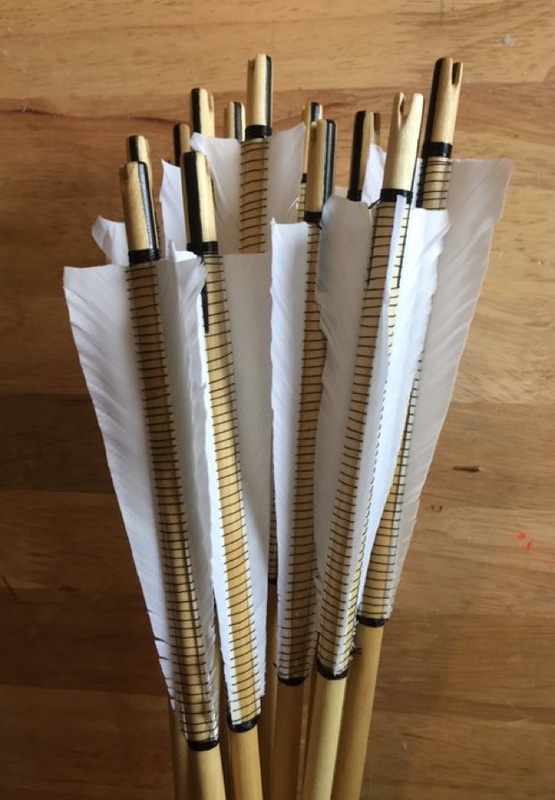 The majority of our arrows use simple plastic index taper fit nocks, and these are available in a pretty wide variety of colours, including transparent and opaque. 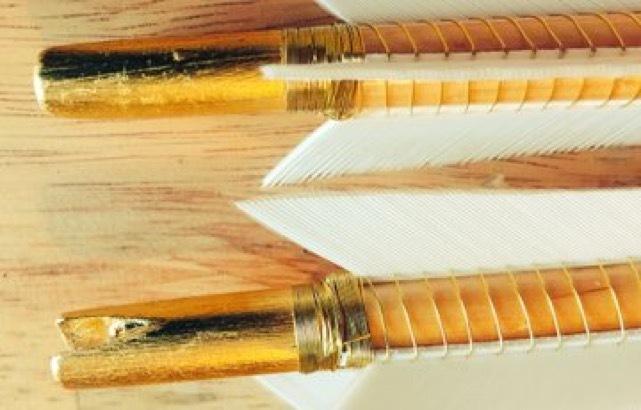 Taper fit nocks will fit arrows from 1/4″ to 23/64″ – much above that and they start to look silly perched on the end. 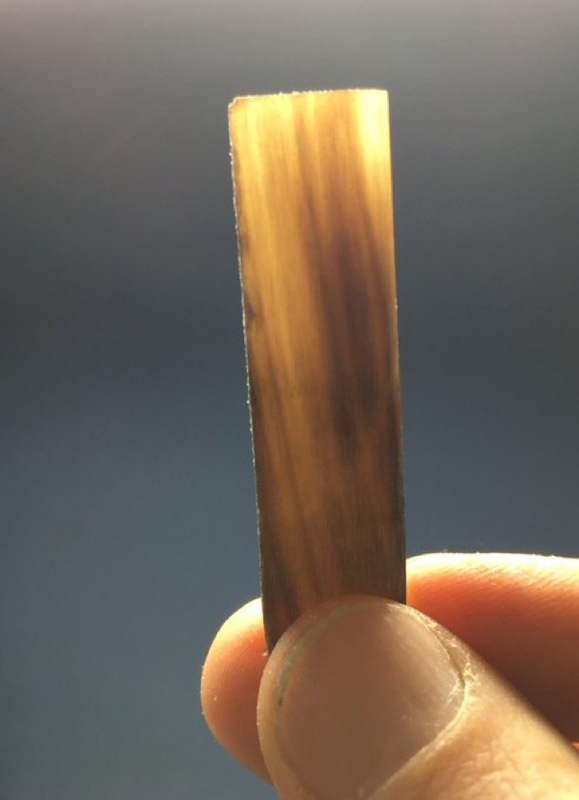 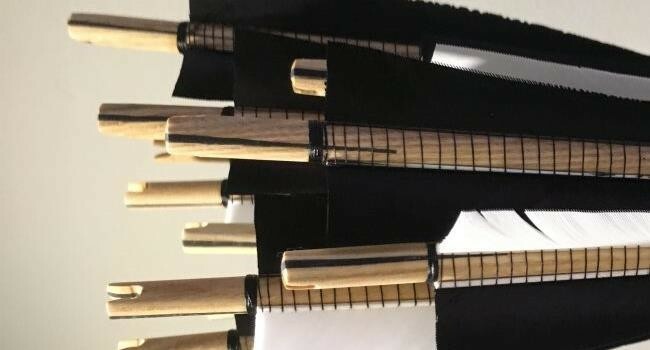 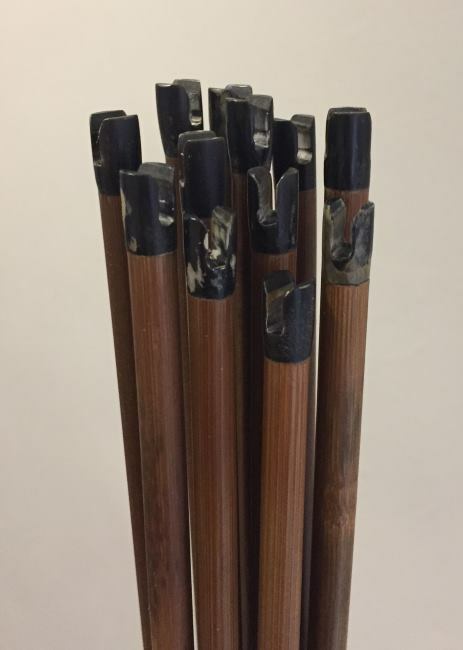 For a more traditional look, or where the material demands it (3/8″ shafts and above, or bamboo – where tapering can weaken it), we can provide simple self nocks, we can bind them or we can reinforce them with horn or wood. 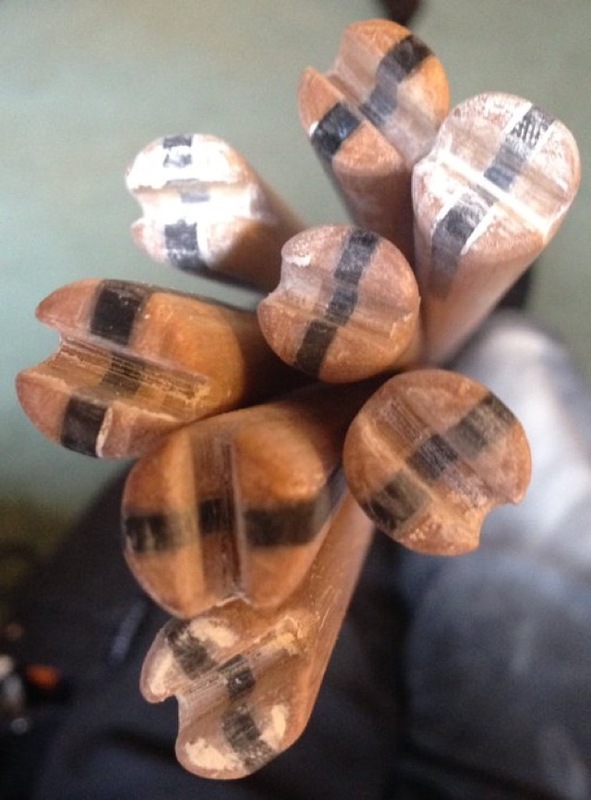 Horn and wood reinforcement is usually done with an insert glued in to the shaft, but we can also “foot” nocks in, giving a very unique look.